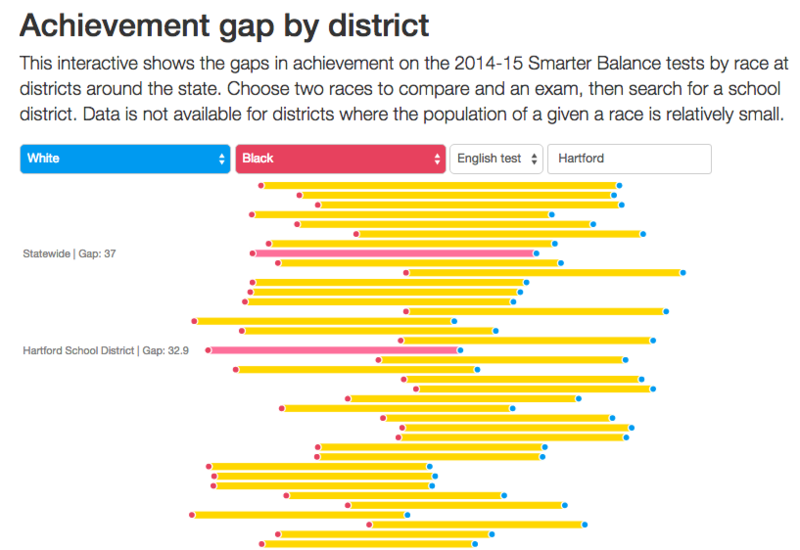 The tool below can be used to explore racial and ethnic achievement gaps on the 2014-15 Smarter Balanced test in many Connecticut school districts. 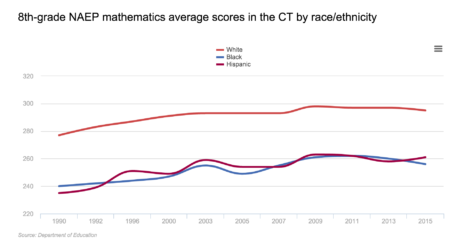 More than nine out of ten white students graduated in Connecticut in the 2013-14 school year. 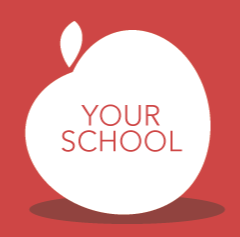 Meanwhile, about 74 percent of Hispanic students graduated— up from 70.2 percent the previous year. 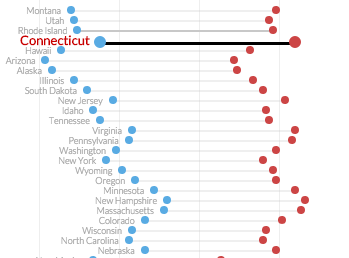 Connecticut led several other states in how it shrank the achievement gap between minority students and their classmates in math and reading. The performance gap between white and minority students when it comes to vocabulary is formidable — a word that nearly two-in-three white students could correctly interpret in the 2013 National Assessment of Educational Progress; meanwhile, a little more than half the black and Hispanic test-takers got this word correct. 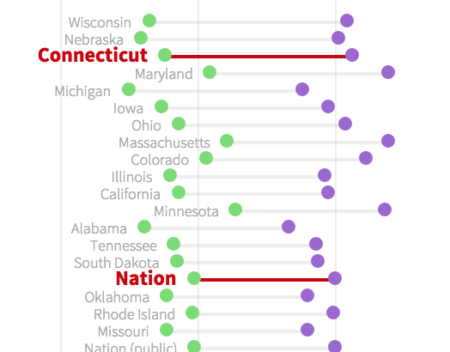 Connecticut’s achievement gap between White students and Black/Hispanic students is wider than the nation as a whole in each grade and subject, based on national tests.